Have you ever thought about using stone for your desktop? It's a beautiful option and adds a lot of character to any office. 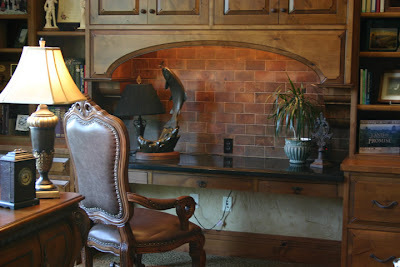 When using stone on a desktop I suggest buying a Leather Desk Writing Pad to put on the desk. Stone can be a little hard to write on. We can even drill holes from grommets so that you can hide all those ugly cords! 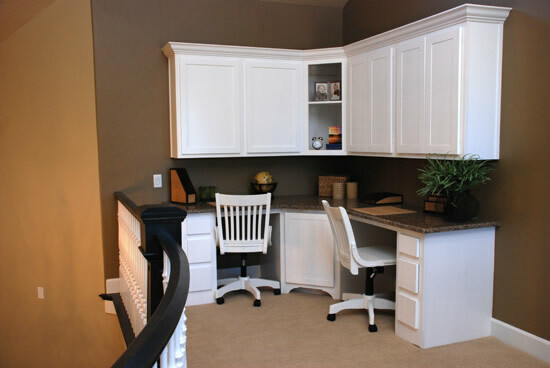 Both projects featured here come from our portfolio. I never would have thought to put stone on a desk. Now I want a marble desk! I really like that second pic.